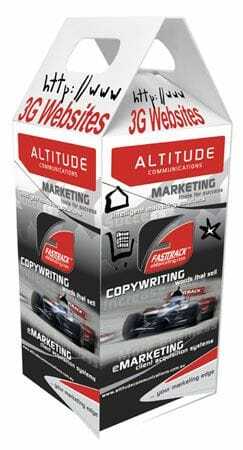 3G Websites: Revolutionise your business with a Altitude 3G Website. Altitude Communications' 3G websites are by far the most technologically advanced and user-friendly websites available, boasting more advanced options in terms of development, appearance, and interaction than ever before. Designed to give a value-packed entry-level module with add-on features, our 3G website is a hard working site that will generate results for you. Driven by a sophisticated database program and back-end system, the content, page layout and menu of your website can be easily self managed. Our FastTrack™ Content Management System (CMS) is so simple that even if you are a novice computer user, you will be able to update your website quickly and easily. Plus, if you do get stuck, in the back-end of the system you'll find an easy to follow 'help yourself' manual, and access to our online help facility. Password protected individual pages for added security. Easily access and modify all contact details - all changes are filtered throughout the website, including footer information and 'contact us' forms, which make changing details even simpler. Access invoices and billing status - our automated billing system allows our clients to view their invoices, and their status (paid, unpaid, overdue etc). All Altitude Communications websites conform to the Website Standards Association's requirements for a functional and hard-working site. Pretty websites aren't necessarily functional websites - except when it comes to our 3G website. Our professional graphic design team has mastered the ability of balancing design with function for online material. Click here to read more about our creative design solutions. 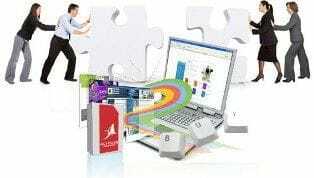 With traditional web development tools, the creation of a website will nearly always run over time and over budget. But with the development of our project management software, out of control timelines are a thing of the past. 'Tell a friend' form - Website users can easily send a link of the page they are on to anyone else via email. This encourages viral marketing from the website. 'Print this page' - This functionality removes the site template, leaving only the text and images within the copy for easier printing. XML sitemap - Automatically informs search engines about every page on your website that are available for crawling - particularly useful as search engines often cannot reach all areas of a website. Click here for an example of the Altitude Communications site map. 'Contact us' form - Allows users of the website to easily contact the website owner, yet also means that SPAM crawlers cannot pick up any email addresses on the website. This function is essential for the smooth running of any website.